Posted on September 7, 2013 | by TRIP! 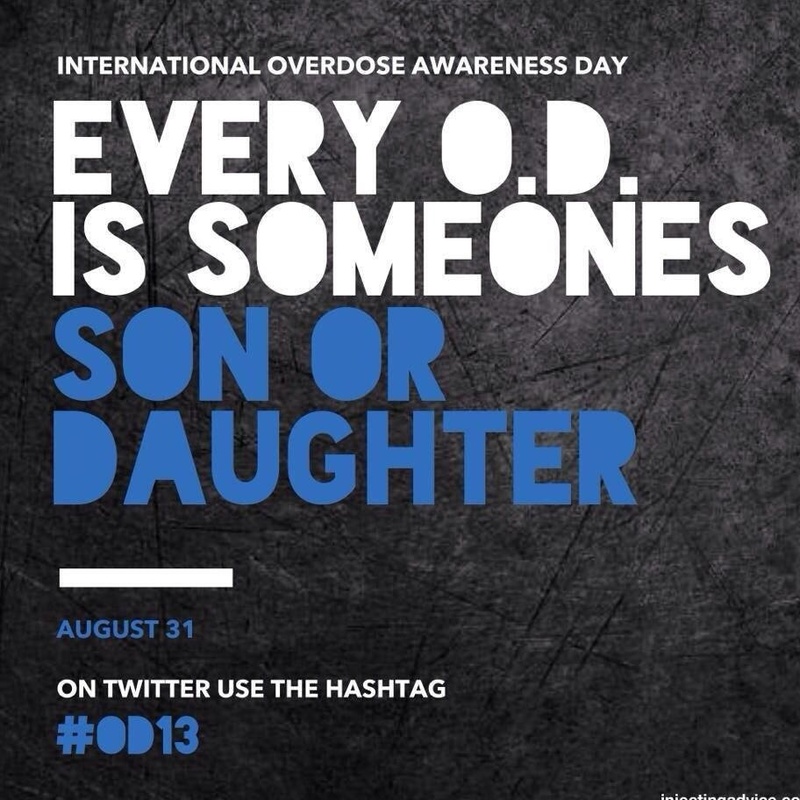 On International Drug Overdose Awareness Day this year, two people died at Electric Zoo, an EDM festival in New York. Our thoughts are with friends and family of these victims of the drug war and we are talking with local festival organizers about what we as an organization and as a community can do in our ongoing effort to keep partiers and drug users as safe possible. In 2011 between 102,000 and 247,000 people died from drug overdoses around the world. On August 31 take part in International Drug Overdose Awareness day and help prevent and reduce the stigma around drug related deaths. Wear silver on August 31st to show your support or pay tribute to someone you’ve lost. Try to obtain drugs of any kind from trusted and known sources. Start with a lower dose to test that you got what you paid for. You can never be 100% sure what is in a substance. You can also contact us about purchasing an adulterant screening kit. Try not to mix drug use with alcohol consumption or other drugs (we know, it’s tough). Do some research on the drug before doing it. Check out the TRIP website and Erowid to find out about different drugs. Read all the information that comes with your prescription medication. If you experience adverse side effects speak with your doctor or pharmacist as soon as possible. Speak with you doctor about the risks involved with mixing any prescription drugs with illegal drugs or alcohol. If you are uncomfortable speaking with someone directly you can email, tweet or text the TRIPwire (647) 822-6435 us with questions or check out ‘Here To Help’ for more information on dangerous drug combinations. Depending on where you are located you may be protected from criminal prosecution if you seek emergency help for a drug overdose. These laws are known as Good Samaritan Laws. This law was famously used in New York State when Jon Bon Jovi’s daughter was rescued after suffering a Heroine overdose. If you’re at an event, send someone to find the EMS workers onsite and send someone else to call 911. Stay with the person until help arrives, doing any first aid or CPR required that you’ve been trainined to do. When you call 911 you do not have to mention that the emergency is drug related. Instead you can say the victim has just stopped breathing or suffered a heart attack. Give as much information as you can about their symptoms like an estimated time of the attack or how long they’ve been passed out for. Put away any drug paraphernalia that you have on your bodies or out in the area. If the overdose victim is functioning well enough, take them outside (or even to the hallway outside of the house/apartment/venue) and wait with them for help. First responders do not need to enter a house and you are not required to let police in without a warrant. You can learn to administer Naloxone, which helps to counteract an opiate/opioid overdose at The Works anytime they’re open or at The Central Toronto Community Health Centre on every 3rd monday of the month, 1-3pm. The training only takes 20 minutes and it could help you save a life. CPR training is offered by St. John’s Ambulance. If you suspect an overdose, call 911 and stay with the person. Every second counts! When the Emergency Medical Staff arrive, you can tell them the specific substances taken so they can more effectively treat treat the person. Worst case scenario, legal issues are still better than death.